What is General and Restorative Dentistry in Sandy Springs? While most doctors of medicine are beginning to go towards niche specialties, doctors of dental health are doing the opposite and widening their range of care. This is the approach that our dental practice is taking to provide a comprehensive and a one-stop shop for our patients and their families. A family dentist will provide a comprehensive offering in order to help your family avoid going all across town looking for specialist for this and that. Our restorative dentistry practice takes aim at helping our patients deal with every day cavities, tooth decay, and removal of old teeth. We then are able to restore a smile to the way in which it once was. In addition to getting your teeth to the way they once were, our practice maintains a strict preventive dental care philosophy. This is aimed at preventing the loss of teeth and the avoidance of gum disease. We also have the latest tools and a specialized in the most current procedures in cosmetic dentistry. Teeth Caps. First, and least invasive, are porcelain crowns. These are often a solution when a small break in a tooth has occurred. The process is exactly what it sounds, a cap is placed over the missing part of a tooth, either using a bonding adhesive process or a titanium fixture to hold the in place. Teeth caps replacement can be a very easy process if you are to re-injure or cause additional damage to the replacement. Dental teeth implants cost comes in second place. While dental crown and bridge cost can often be very similar, the dental implant process is a bit more complex and it involves an installment into the gums. The implanted teeth must go through osseointegration, which is a tooth implant procedure where the gums must accept a titanium screws that will hold the implant teeth in place to restore the smile. Affordable dental health plans will often cover dental teeth implants cost, even those patients with discount dental payment plans. Pictures of dental implants are plastered all over our office, we are very proud of the results that our patients have experienced with our tooth implant procedure. 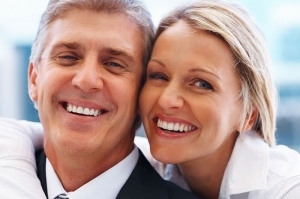 For those with no coverage, we can arrange a plan to help pay for the cost of dental implants. Next in scale of intensity is partial dentures, followed by full dentures. This option is available for those patients who are missing a significant number of teeth. The cost of dentures is a large investment but is associated to the number of teeth that are being installed. Affordable dentures cost will usually be covered by the best dental discount plans and especially by full coverage insurance providers. Private individual dental insurance will usually meet the patient 50% when it comes to restorative dental works. Those of our patients who are looking for coverage for emergency dental tooth extraction and teeth implants, must ensure that they are covered or help search for options to help pay for the treatments. A general dentist should also be a root canal specialist. This is because root canals aren’t an everyday occurrence, but a procedure that will often be needed by someone in your family. Root canal pain treatment is a basic procedure in our office, and one that we have performed thousands of times. In addition, the general dental office should be able to suggest home remedies or holistic approaches to tooth pain relief and provide solutions for teeth whitening. For more information about either our general dentistry practices, restorative works, or anything else regarding your dental health, please feel free to send us questions through our contact form on the “About Us” page, or better yet, schedule an initial appointment so we can see your teeth as we discuss your options.